80 - Most peasant melee units. 60 - Most "professional" melee units like mercenaries or select fryd. Also select noble units. 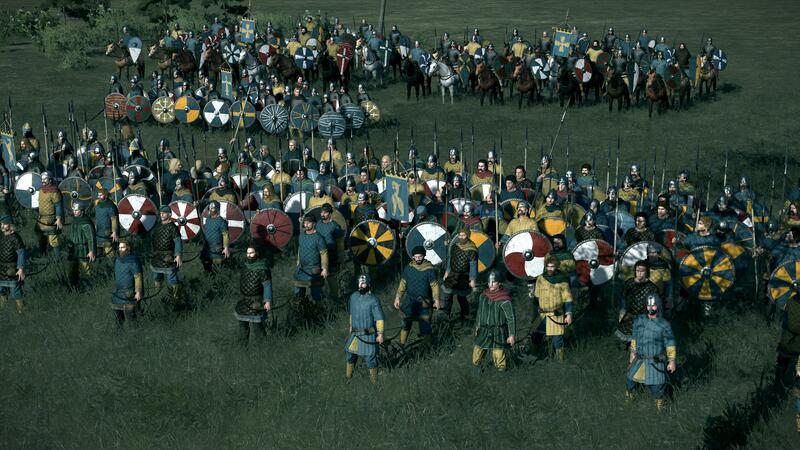 40 - Other noble units. 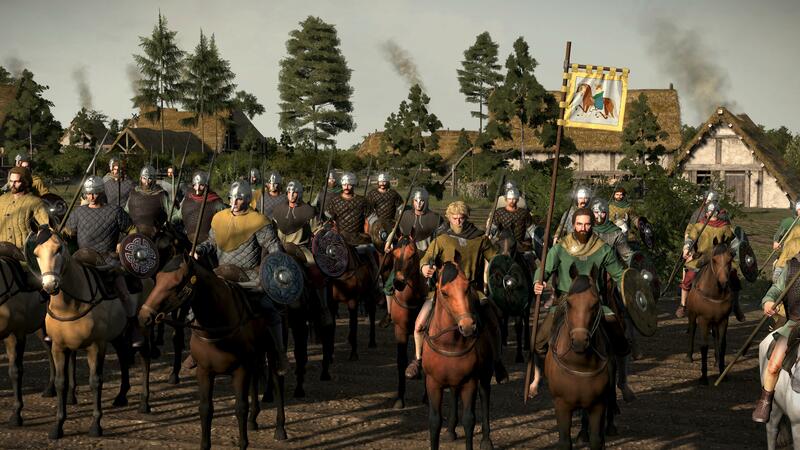 Normans have 40 man cavalry and bowmen units. Irish have a 40 man Skirmisher. 30 - Most factions levy bowmen, slingers. Generals. 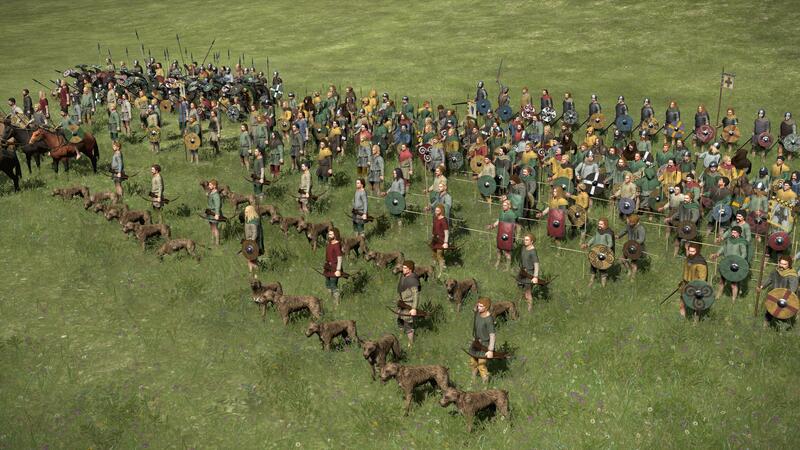 24 - Most cavalry units, most skirmisher units, most longbow units. 20 - Most champions. Mounted Generals. 12 - Berserkers, Scout cavalry. 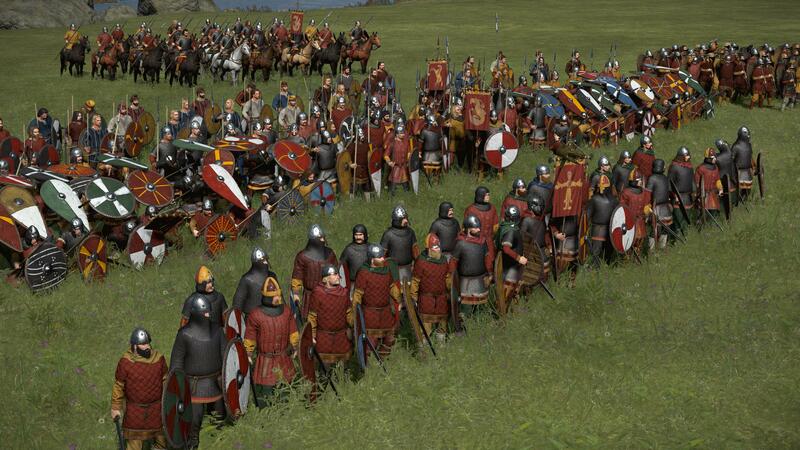 In the vanilla game, the elite units have similar sizes compared to levy troops, thus barring the slower recruitment times for elite units, there are few reasons the player would ever need to field anything other than elite units. Fielding armies that are entirely comprised of elites is not the gameplay we want to implement in Shieldwall. A twelve man Berserkir squad can still deal A LOT of damage when used correctly, but you will still have to babysit them even when throwing them against levy troops. 12 versus 100 men are not good odds no matter the quality of the troops. 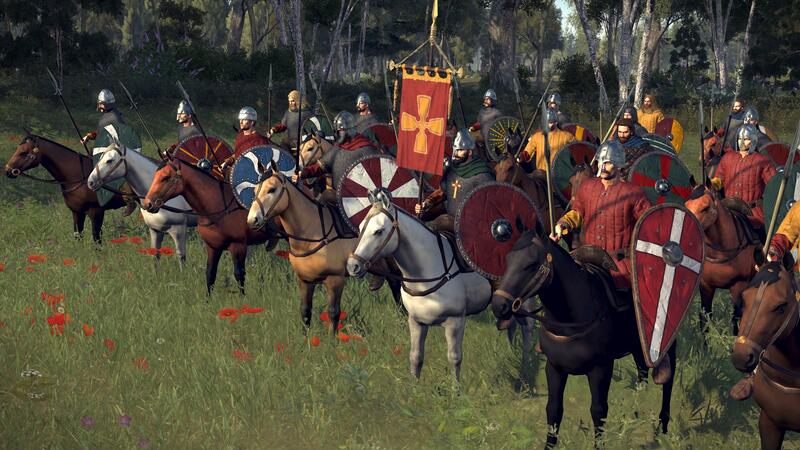 Some units will also have special abilities attached to them to make them actually useful to have in an army, for example scouts will give a boost to line of sight and campaign movement. Hunters will provide a boost to supplies so they will be useful to have in an army especially in enemy territory. So as you can see units will play more of an important role and you will have more versatility with a balanced build. Sweordcempa Swordband - Sword Champion of Wessex. There's a few new things to take note of here. Please notice the darker chainmail colors, this will likely be implemented throughout all of the rosters as a point of historical accuracy since we felt the originals were too bright. Also please notice that faint outline of wood planks in the round shields. All of our shields will have something similar to this to better reflect leather skins being tightly stretched over wood planks with an uneven flush. If you guys like what you see feel free to join our public discord server and weigh in on different topics. This looks very nice. I'm mainly interested in the Irish which I will be playing with. I'm sure I will struggle with the not-so-good battle line abilities, as I'm more a defensive player, but we will see. Frankly said, I only bought ToB after I saw this mod announced. With one of the features of ToB most annoying to me, the art-of-the-time unit and character cards, your mod will not deal with, but the rest sounds so good. Some questions about the unit balancing. In vanilla axes seemingly are advertised as counter to sword units which I find rather odd. Even if both are shielded, an axeman would not have such a good time against the longer and faster sword. The armor piercing qualities of small axes are also exaggerated quite often in TW, even in good mods. 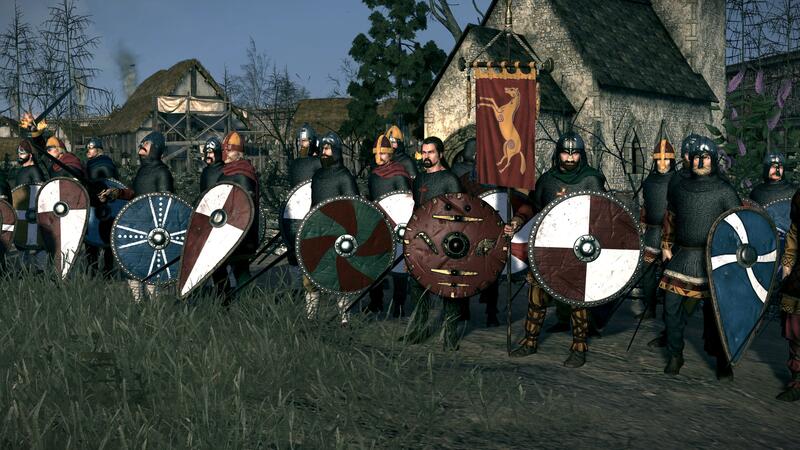 Maybe it's necessary for gameplay diversity (and much too much armor everywhere) but should not be overdone, as Shieldwall fortunately seems to reduce the armor ratio. The only part of the description of Shieldwall which makes me a bit uncomfortable, is that about spears, being more a defensive weapon. On what is this based? A spear is quite a good offensive weapon, possibly more offensive than a sword. It is not as easy to defend with a spear than it is with the more versatile sword. The best defense of a spear is the offense, to hit at range. 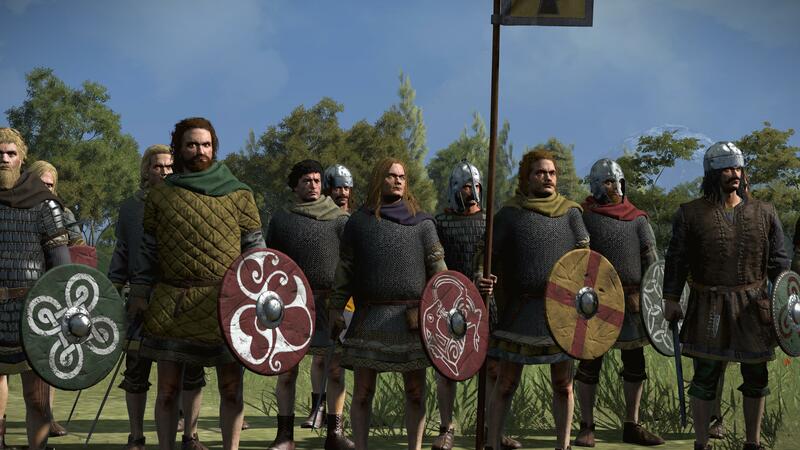 So i hope the RPS system is not so determining in Shieldwall, to the extend that frontal sword against spear would be autowin. Thanks for the reply geala, as for spears I would think about them as far as the mod is concerned as a weapon of attrition. They won't steam roll units but they stall the battle line by creating a no-mans-land and will chew up units over time. We are huge fans of Wolin and I have done some SCA battles so it is based off of personal experience. That said we still have to try to make the battles interesting which can vary on a player to player basis. Basically this is what I'm talking about with spears creating a no-mans-land and stalling the battle. Great work! 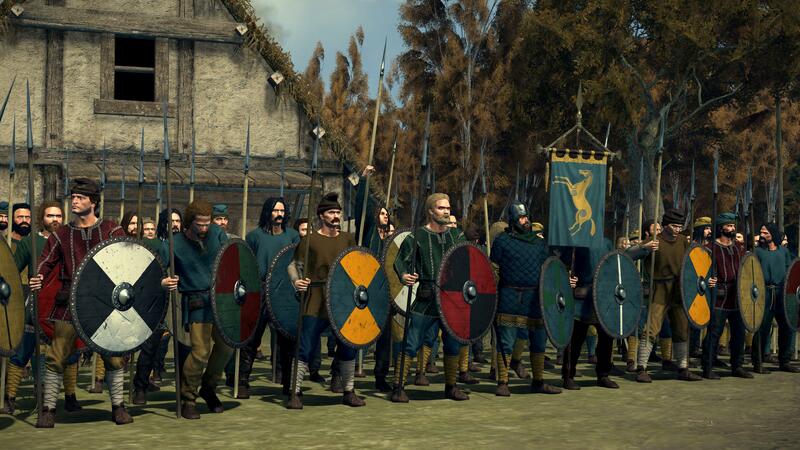 Im waiting for this mod for a Saxon and Sea Kings replay! Now that I reread, I have a question to the fianna. You wrote "Fenian Cycle", what do you mean with it? The stories of this tradition are semi-legendary at best, and in my opinion don't give a very reliable picture of what the fianna possibly was. I think the fianna was a cultural institution not only for the Irish but also found in other Celtic societies and dating back to pre-Roman times. The main reason was the expulsion of youths from the normal households after getting 15 years old, so they founded "youth gangs", consisting of people between 15 and about 20 years, mostly males. Such groups, made mainly of wild young men during their most aggressive phase, in countries without very developed security infrastructures, must have been a nightmare quite often. On the other hand they could have been rather useful during conflicts, and a base for warrior training. 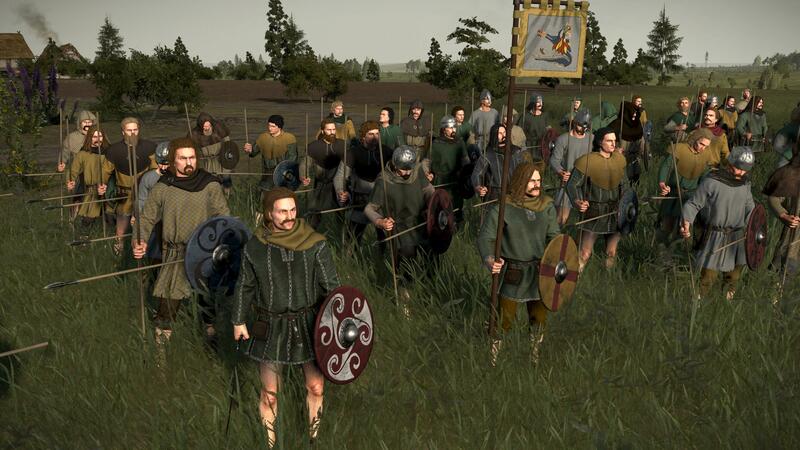 I would simulate the fianna as lightly armed, unarmored, very fast, high damage, high attack, low discipline, low morale unit of beardless longhaired guys.